Easter will be here before you know it – Have you chosen your Easter dessert yet? If not, I have an excellent recipe for you. 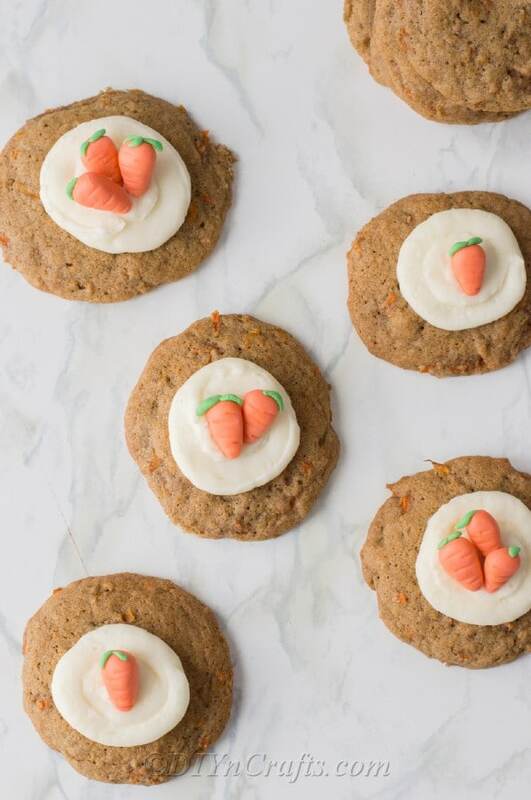 This recipe for carrot cake cookies is going to become an Easter favorite. My family loved these tasty little cookies, and I’m sure that yours will, too. What Are Carrot Cake Cookies? 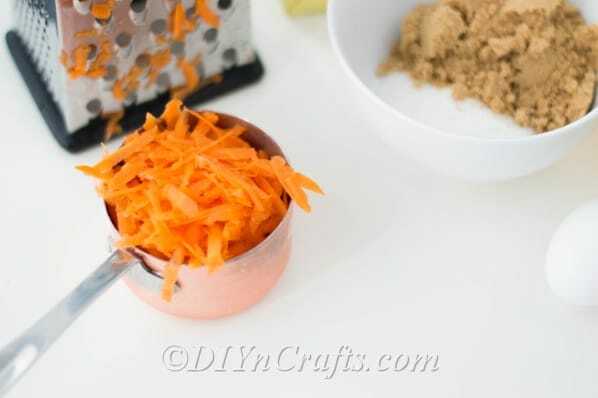 What Do I Need To Make Carrot Cake Cookies? Are Carrot Cake Cookies Healthier Than Other Cookies? Can I Store Carrot Cake Cookies In The Fridge? 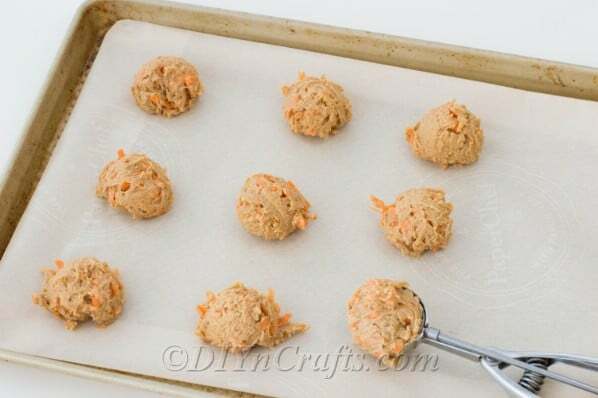 Can I Use Fresh Or Canned Carrots In Carrot Cake Cookies? What’s Your Favorite Easter Cookie Recipe? 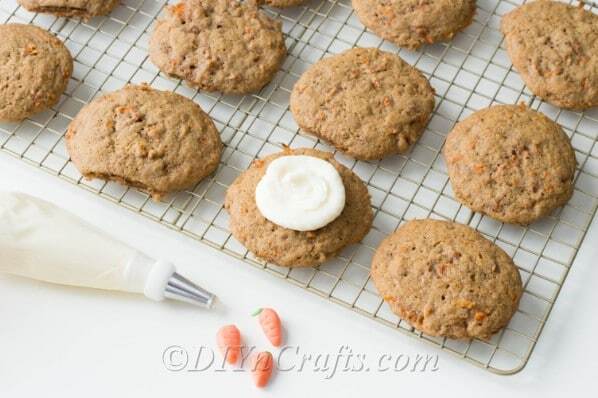 Carrot cake cookies are a cookie form of your favorite spring cake – carrot cake! 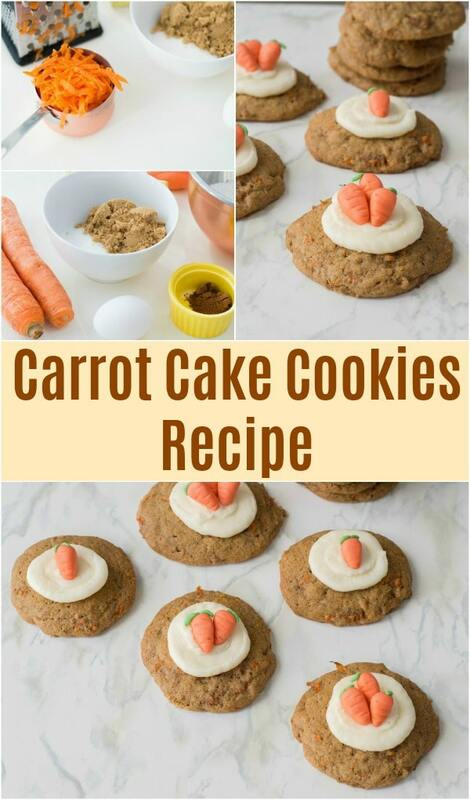 These cookies use many of the same ingredients as carrot cake and have a very similar flavor. 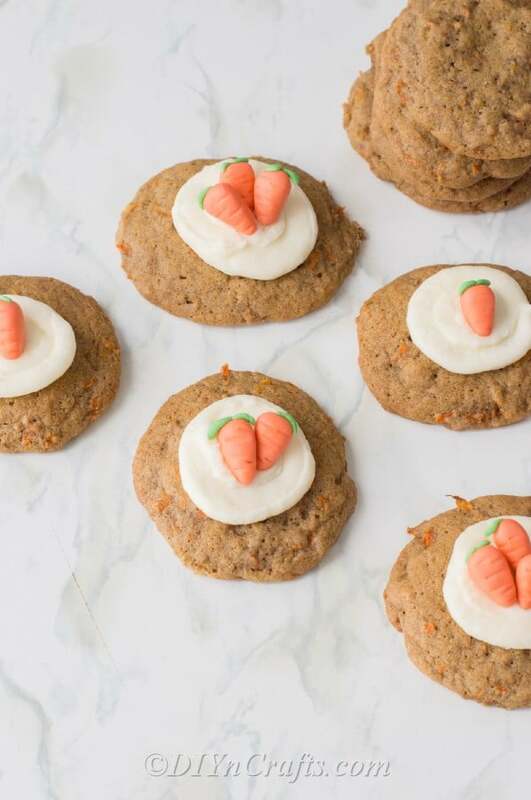 These carrot cake cookies do have carrots in them, but I’m not sure that I would consider them healthier than actual carrots, or any healthier than your favorite homemade chocolate chip cookies. But they are tasty, and that’s what really matters when you’re making Easter cookies, right? You don’t have to store these in the refrigerator if you are planning to devour them soon. They will hold up well overnight, so you can make them Saturday before Easter, and they’ll still taste fresh for your Easter celebrations. If you keep them longer than a day or so, I would store them in the refrigerator to keep them fresh, or you could freeze them for later. 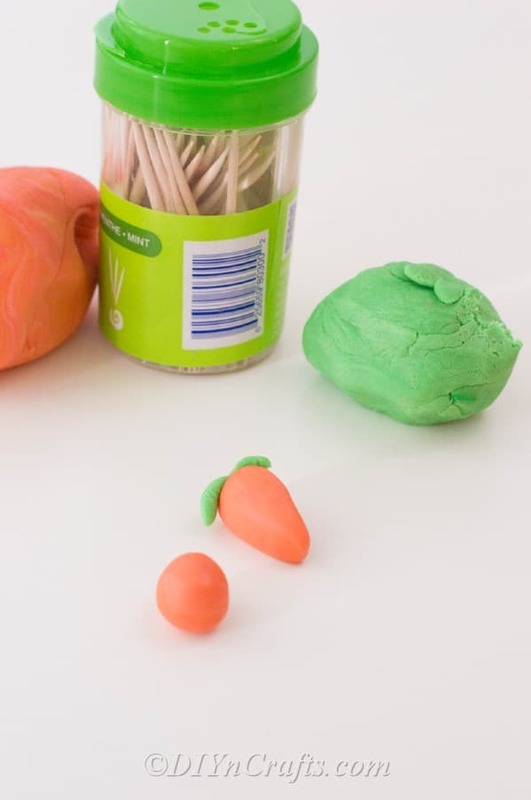 To make things really fun, store them in this DIY carrot shaped treat container. Every carrot cake that I have ever made has called for fresh carrots. I’m not sure that canned would work, but don’t worry. 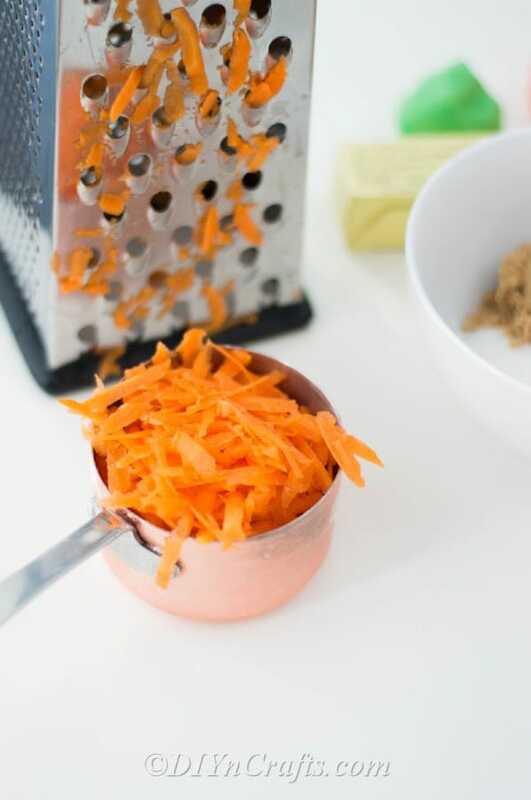 Grating carrots takes just a few minutes, and raw carrots give your cookies such a wonderful flavor. 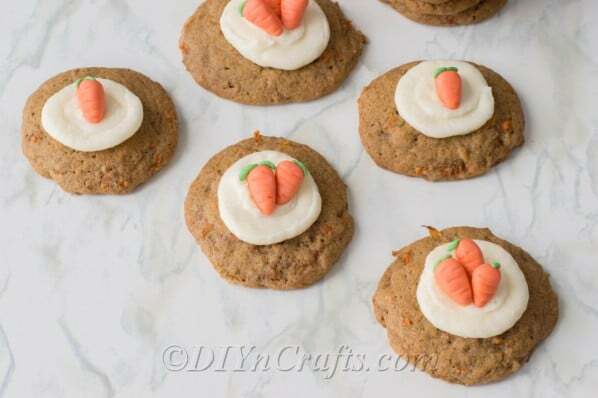 Best free carrot cake cookies recipe. These cookies are moist, delicious and perfect for spring, decorated with colored fondant and homemade buttercream frosting. Line a baking sheet with parchment paper and preheat oven to 375 degrees F.
In a large bowl, use an electric mixer to beat both sugars, egg, and butter. Mix until creamy. Sift together flour, baking soda, cinnamon, and salt. 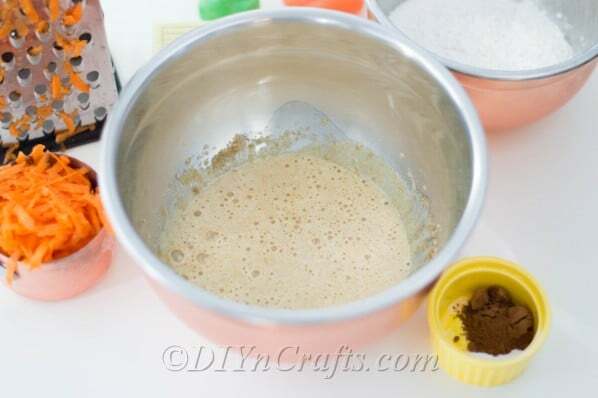 Add dry ingredients into wet ingredients. Beat until batter forms. Using a cookie scoop (or a ¼ measuring cup), scoop mounds of batter on a lined baking sheet, about 2 inches apart from each other. Bake for 12-15 minutes and allow to cool before decorating. Make buttercream by beating butter, icing sugar and milk. Once ingredients are smooth and well-combined, scoop into a piping bag with a round tip attached. Frost the center of each cookie. Roll out 15-20 spheres of orange fondant - about ½ an inch in size. Shape them into cylinders. Press a small piece of green of fondant on the top of each orange piece. 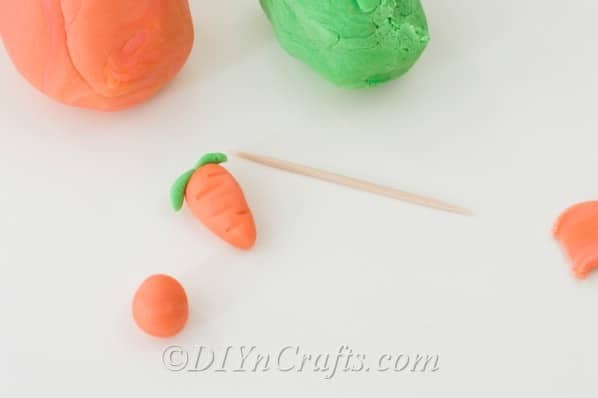 Use a toothpick to score lines on the orange portion of your carrot, to give it texture. 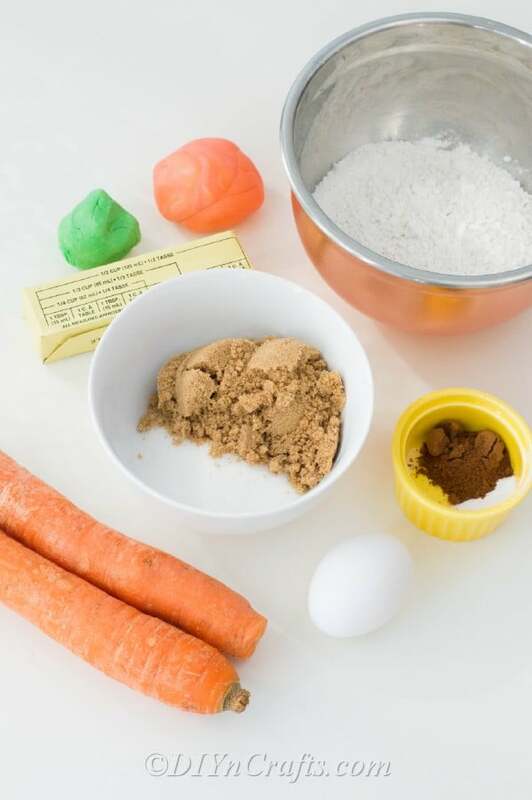 Top each frosted cookie with 1-3 fondant carrots. Serve and enjoy. Hmm let me ask around!